When it comes to protecting your organization against cyber threats, information is key. But with so much to comb through in today’s data-driven environment, how can you determine what’s actually useful? This is where threat intelligence comes in. • The biggest lessons learned in cyber security in 2015. 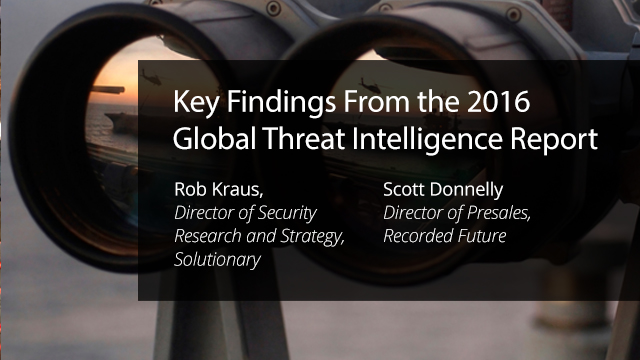 • How you can implement threat intelligence best practices to help disrupt attacks. • The top 10 vulnerabilities targeted by exploit kits in 2015. • Analysis on industry attacks, including which industries are most at risk. Register today to learn critical threat intelligence insights from 2015 that will ensure your organization is secure in 2016 and beyond.